Flake who is a Republican has said that he was very hesitant to endorse the Republican Nominee for President of the United States. 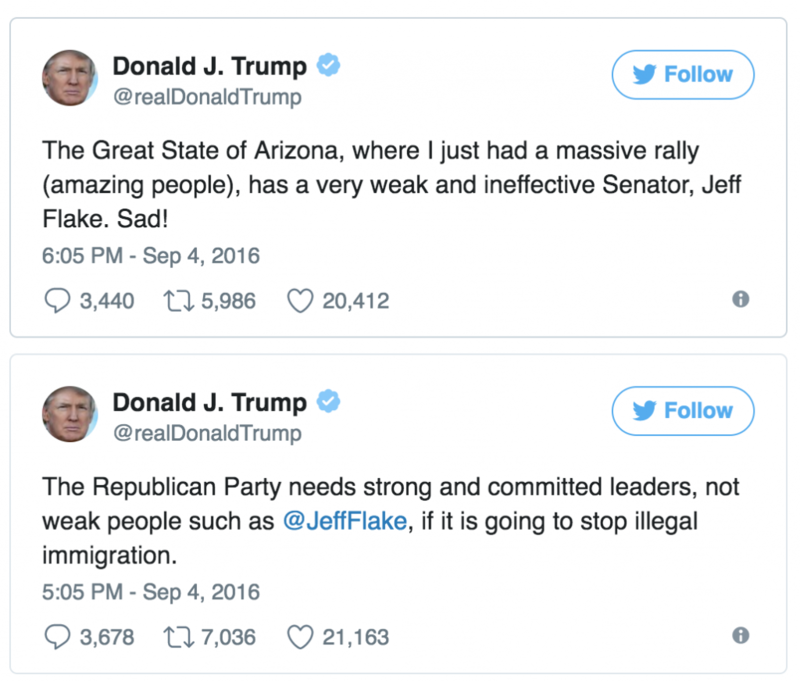 By doing so Flake went against his party and their leadership. Flake has shown numerous times that he is more concerned with working along side Democrats rather than the President. President Trump has addressed the tweets by saying it is his way of connecting directly with the American People. 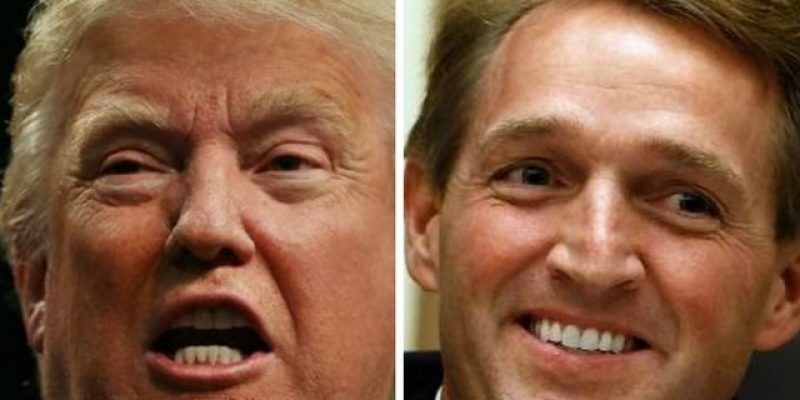 There is an election for Senator Flake’s senate seat in 2018 and with little backing from The White House or Republican Party many wonder if the incumbent will loose the general election. It has been said that Senator Flake is running against Donald Trump. As of right now the only other declared Republican candidate is Dr. Kelli Ward. The White House has shown that they are more than willing to work with Ward. Next Article Venezuela Is Now A Full-Fledged Communist Dictatorship; What Should We Do About It?